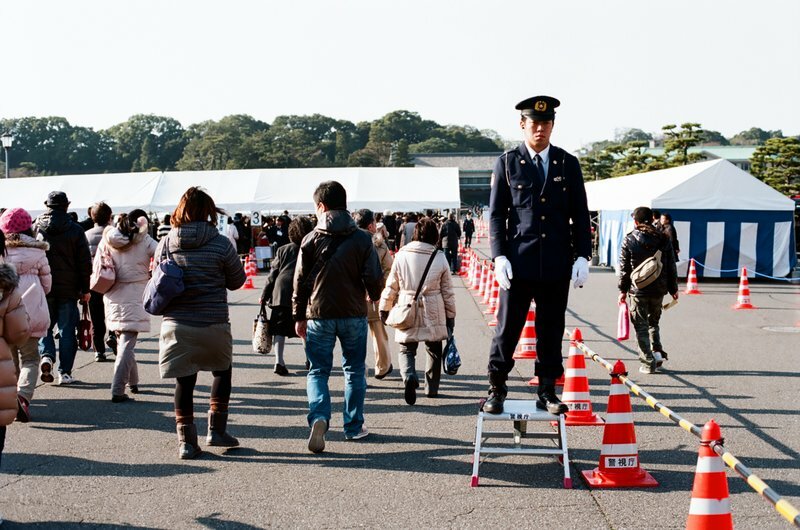 My number one Tokyo security fetish are policemen on top of 20 cm ladders. Really, it’s like a pantry step stool. So low tech, so minimal, and yet ever so watchful. If he needs to jump off the stool in hot pursuit, please please take care getting down!